As a port city, Portland's waterfront was the town's identifying feature for its first two and a half centuries, with the “Bayside neighborhood” serving mainly industrial purposes. In 2005, the City of Portland purchased a 13.2-acre former railroad property that runs through the Bayside neighborhood from the Eastern Promenade to Deering Oaks Park. The first step toward fulfilling the vision of a new urban landscape for Portland, TPL stepped in to take the project from concept to reality, spearheading construction and helping to raise the $1.6 million needed to complete the project in 2011. 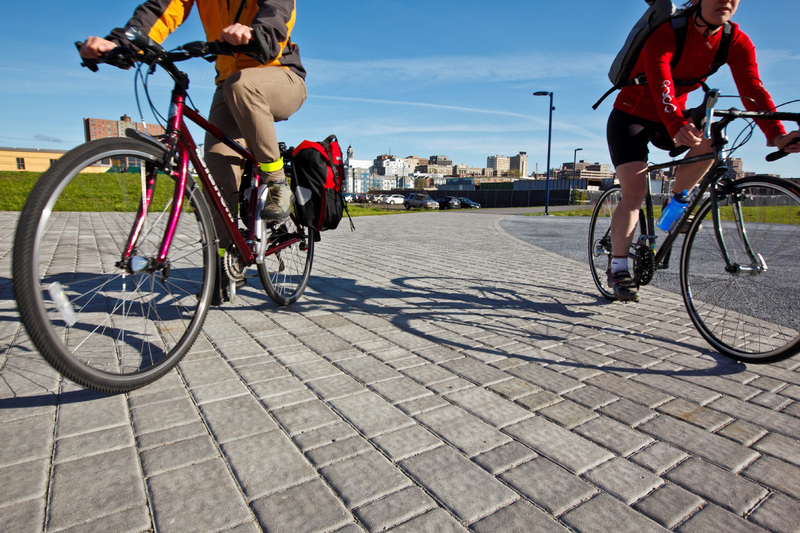 Today, the Bayside Trail has turned a former industrial area into a livable, walkable, vibrant urban amenity. The trail, together with pocket parks, gardens, and public gathering areas, is a focal point for cultural activities and community programs, contribute to the economic vitality of the city, and improves the quality of life for the tens of thousands of residents, workers, and visitors. In addition to providing a safe, pedestrian friendly pathway through the Bayside neighborhood, this ribbon of green provides a new gateway for Maine’s largest city.